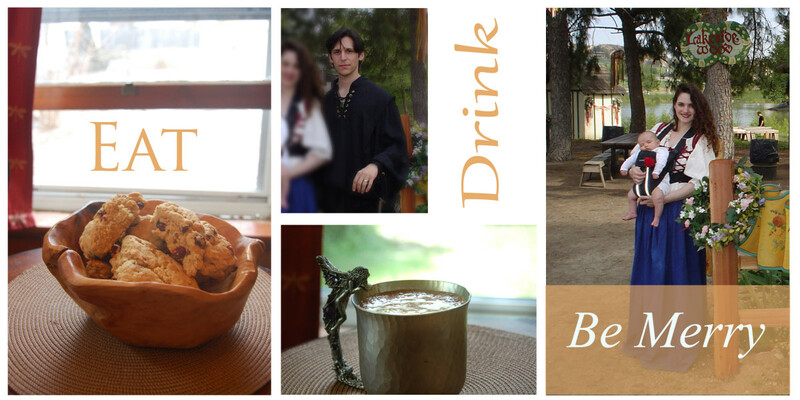 Having seen Renaissance Faires throughout Southern California and Indiana I can assure you the Bristol Renaissance Faire of Kenosha, WI, was a marvel to behold. Year-round Swedish stye architectural structures are dedicated to the Faire. Hired actors dressed as fairy's, dragons, greenmen and pirates add enchantment to the festivity. 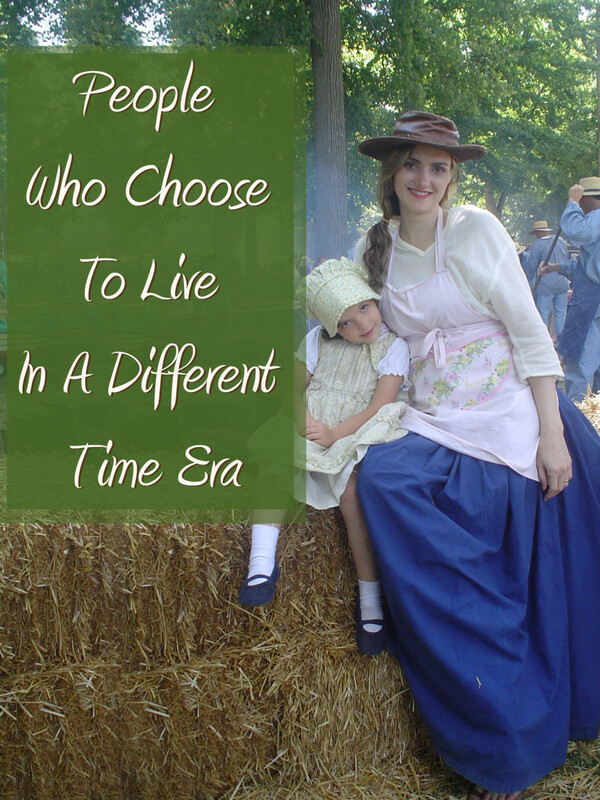 Why live a normal life when you can choose to live in another time era! The renaissance was a time of enlightenment and great achievement. 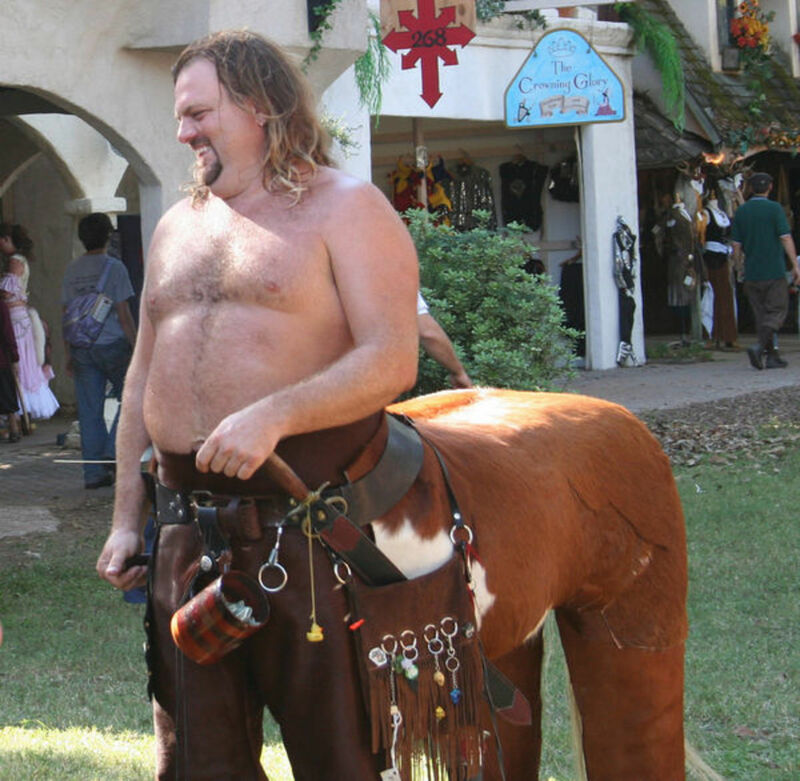 Take a visit to a local Renaissance Faire and you will observe patrons and vendors dressed in 1500's period breeches, pirate shirts, corsets, mythical inspired wizard staffs, fairy wings, and greenman masks. A merging of fantasy and authentic period clothing will give you the most creative license in your lifestyle. If you want to immerse yourself into this time period, mythic or factual, it is up to you. Though you will need courage to break away from modern trends. 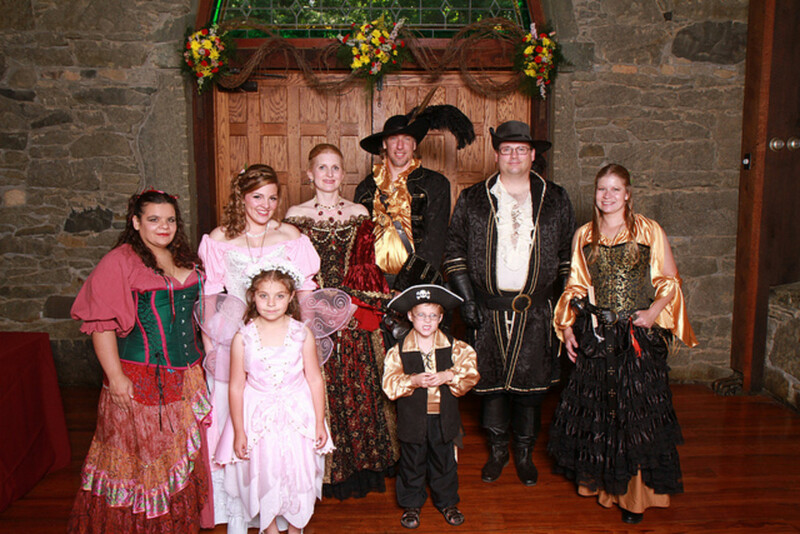 Some people buy only one essential renaissance costume to wear at the local faire each year, while others may have a full wardrobe outfitted with a variety of jagged pirate skirts, a rainbow of chemises, and leather accessories to match throughout the year. Die hard renaissance era rein-actors may not only participate in living history events, they may also speak Elizabethan at home while eating their food with rustic iron forged utensils. First you must choose your persona. Nobility, peasant, pirate, or fantasy adventurer are few archetypes from which to create. From here you may think about the theme of your home. There is no rush to spent lots of cash equipping your wardrobe, feast-ware, and home deco. This you can gradually do throughout the years via gift requests or gift fund. Be sure to give away your older modern deco and wardrobe pieces, or you'll clutter your haven. Forks: knives and spoons have been used throughout history, but we’ve only been eating with forks over the last few hundred years. Sites like Medieval Collectibles offer feastware. Adventurers would wear their knife and spoon in a leather pouch which hung from their belt. The fork only caught on later. Surprisingly, there was much resistance to the two pronged fork (which originally resembled a pitch-fork). It was at first thought to be snotty and effeminate. Caldrons and large pots were used to cook stews. Cast iron pans served most other needs. One simple way to experience Renaissance Era cooking is to make meals from scratch, which you cook simply with skillets and double broilers. Stews were common and veggies and meats were often eaten on top of stale bread. Think simple living mixed with whimsy. "In modest European homes, meat was not necessarily served every day (although for special occasions, meat dishes were often served in abundance, to display the generosity of the host). Bread was the fundamental staple for the lower and middle classes, was made with cheaper grains than wheat: barley and rye, for example. Meals for the lower social classes usually consisted of dark bread such as rye or barley, and cheese or curds. Servants living in wealthy households usually dined better, enjoying meals of beef or fowl, refined breads, pudding, cod and ale. They also had access to certain seasonings such as salt. The middle class enjoyed more variety, as each meal generally consisted of several different dishes, with a game bird of some kind being the standard main course. For dessert, the middle class dined on sweets and confections with spiced wine." Cloaks and capes though dramatic, can hinder the flow of movement. You may wish to opt for a more practical classic sweater or mythical fitted jacket. Though the cape makes a great statement at the Renaissance fair. No more keeping up with the Joneses following modern trends. One freeing aspect of confining your clothing to a specific time era such as the Renaissance is that once you have bought your classic pieces they are sure to last you for a long time. A trendy shirt may only be relevant for 3-5 years at the most, yet a nice classic medieval, renaissance, or fantasy themed wardrobe piece may last you one to two decades. Not only are the pieces always in fashion for the fantasy minded, most likely they were hand made with attention to detail. For Women if you wear skirts or dresses, skirt hikes are a must for working around the house or in the garden. They will pull up the sides of your skirt so you don't find yourself tripping down the stairs or hindering your work. They will also prevent your material from tearing or getting mud-stains. 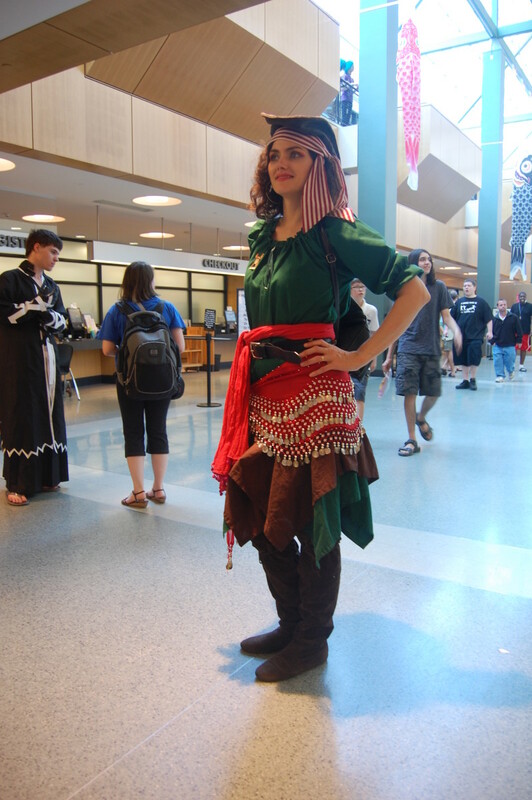 The Renaissance Store has a vast selection of fantasy wear. Dressing as a peasant, pirate, or woodland adventurer is far more practical for daily wear, than that of a nobleman, which are more constraining and heavier in curtain-like fabrics. Merging fantasy with the authenticity of the Renaissance is often how Ren Faire goers implement deco. For the garden, sites like Design Toscano carry stone sun dials, lion fountains, and sculpture bird baths. Within your home hang cloth tapestries of knights and feasting tables to give your place a fantasy cottage or castle stronghold feel. Hang sconces for candle lighting. Wood and iron should be a staple for creating this atmosphere. For complete immersion you may wish to hide modern objects, such as computers and tablets out of site. "By the 1500s, the canopy bed had also become popular in the homes of the prosperous bourgeoisie, who emulated the nobility in their fine clothing, tasteful furniture and good manners. This is why all the social levels in the Middle Ages tended to rise culturally and materially, the opposite of today, when all levels of the social sphere are increasingly adopting vulgar...customs." You may note that many fans of the Renaissance Era lifestyle enjoy music from fantasy film scores such as The Lord of The Rings, composed by Howard shore or Willow by James Horner, though these soundtracks break away from Renaissance music style with romantic era structure, they contain whimsy, adventure and fantasy which is often sought out by the Renaissance Faire fan. "Music, increasingly freed from medieval constraints, in range, rhythm, harmony, form, and notation, became a vehicle for personal expression. Composers found ways to make music expressive of the texts they were setting. Secular music absorbed techniques from sacred music, and vice versa. Popular secular forms such as the chanson and madrigal spread throughout Europe. Courts employed virtuoso performers, both singers and instrumentalists. Music for the first time became self-sufficient, existing for its own sake. Many familiar modern instruments, including the violin, the guitar, and keyboard instruments, were born during the Renaissance. During the 15th century the sound of full triads became common.."
Having a few lutes, drums and bells around the house for an impromptu Renaissance jam will bring about the spirit of the Renaissance lifestyle where drum circles are even possible. Having these instruments accessible will also inspire musical exploration with children. Glad you enjoyed it, I myself actually live out much of this article. I enjoy the aesthetics of Renaissance costume and deco. 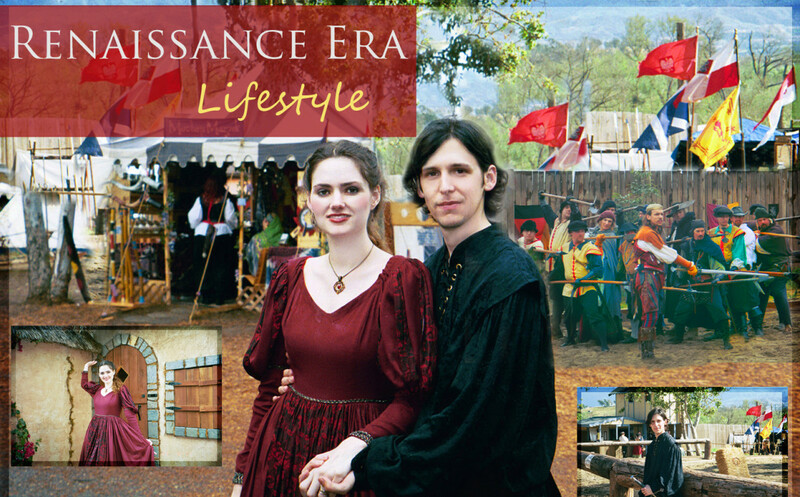 How to Live a Renaissance Era Lifestyle is interesting and so beautifully presented the video is awesome.